Charging mysteriously stopped working between my van and my trailer. Think this pic shows a bad splice? Yep, corroded to the max! Had two issues: charging not working between van and camper and left turn signal not operational. Still have the brake light, just no signal. Replaced the light bulb, no dice. Looked at the wiring and found two bad splices (the second wasn't nearly as bad yet). Replaced the splices, tested at the camper, success on charging! Yay! Still no dice on the left turn signal. Any other things to inspect? I've been a technician and electrician for 50 years. 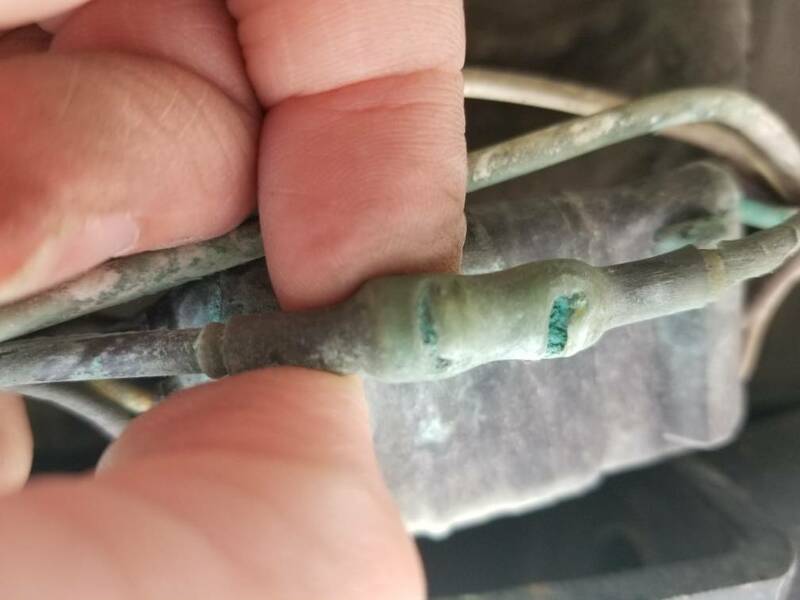 When connections are this badly corroded, the green leeches back into the wiring on both sides of the connection. 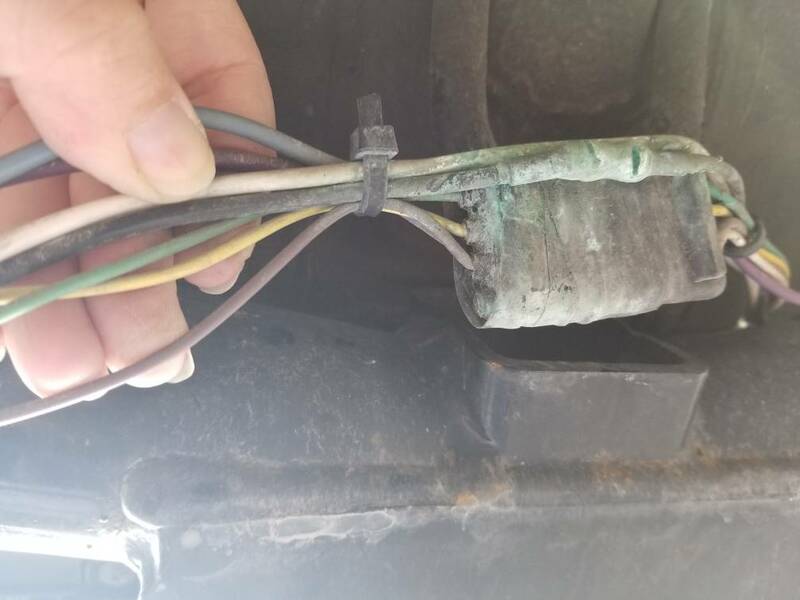 The problem is compounded by the fact that wire and connectors are cheaply constructed. Repairs just move the problem around. I would suggest a rewire with new materials. Etrailer.com is a good source. Buy a heavier gauge wire , at least #16. If you do splice, solder the wires. 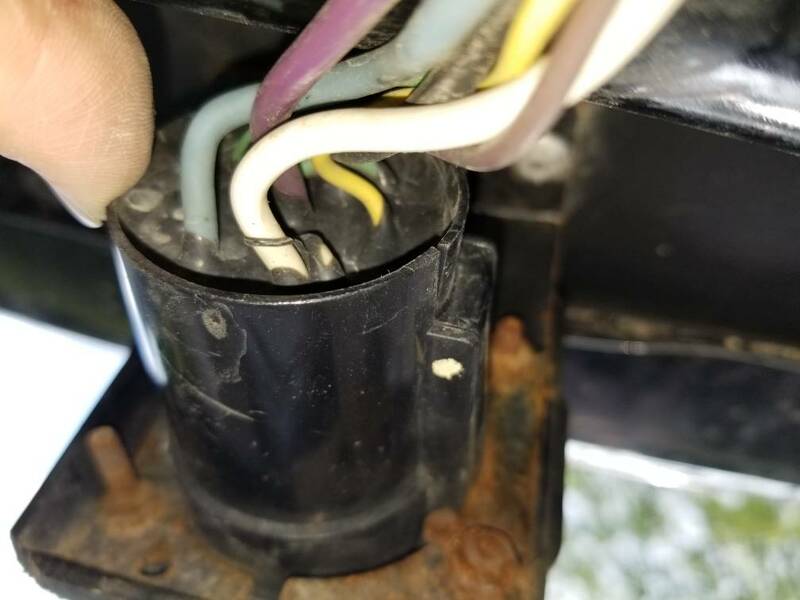 Crimp connectors don't last in the weather. Good luck! It truly pained me to fix a splice with two splices and a jumper; but I wasn't ready to pull a new wire through the van. Believe it or not, the wire is #20 (yeah, I know, shocking!) While cutting out the bad and putting in the new the copper appeared, to the bare eye, shiny and clean. I'll definitely keep an eye on it. Thanks for the heads up.